Does your business get calls? or, Do you want to track calls from your website? If you work in deliveries, home services, dental or cosmetic clinique or real estate most probably it does. And so you might have been wondering how to account all those call conversions, especially if you use multiple advertising channels. Don’t worry be happy, you can do it easily with the help of call tracking or call monitoring services. This type of service is recognized as an optimal solution for linking the number of the phone call conversions to the efficiency of your advertising campaign. Call tracking services usually offer cloud PBX and various CRM integrations. But the real power of the service is in the analytical data it is capable of providing. In this way, Ringostat has a lot to offer with a range of really useful reports. Let’s know in details about the call tracking services and features provided by the Ringostat. Here we go. Ringostat call tracking offers solid analytical capabilities. The amount of data it can aggregate in the reports is abundant and at the same time conveniently represented as charts, graphs, and tables. It is not hard to comprehend the information, and with some experience in analytics and call tracking, you can easily make sense of it. Dashboard is a useful tool for visual representation of the main data from your account. Here you can have all the necessary information at a glance: the number of inbound calls, the number and ratio of missed calls, the number of target calls, expiration date and financial status of your account. Whether you got the same number of calls per week as usual. Maybe your business is in a slow period? Or on the contrary, too busy with calls? Whether you got the sufficient number of target calls. And what about missed calls? Quick update on your account info. Didn’t you forget to transfer money to the service? Did you check the expiration date of your account plan? Dashboard looks like a smart solution for aggregating data and keeping it at hand. Call Log is a statistic report of every call you business has received. When your call agent picks up the phone, call tracking gets a stack of data on the call and records it into the system. You see the date and time of the call, call status, timeout, call duration, the agent who responded to the call, utm_source, utm_medium, utm_campaign, utm_term, call recordings and other metrics. To add to that, you can filter the report for specific dates..
… or call types. These reports are installed in Ringostat by default, so there is no need to spend time for gathering data. It is already compiled for you in a simple and convenient way. Call log gives a lot of various data for evaluating the efficiency of advertising campaigns and properly allocating your advertising budget. Having data on every call including the source of call down to the keyword, helps in determining campaigns that really generate calls. And find out which are simply not effective. There are even more options for getting just the reports you need. Ringostat clients can configure personalized report templates (30+ criteria for calls filtering are currently available.) There are also some handy tags for fields that are going to be displayed in the report. Their order can be easily changed as well. 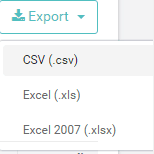 Moreover, there is a great function of reports export. 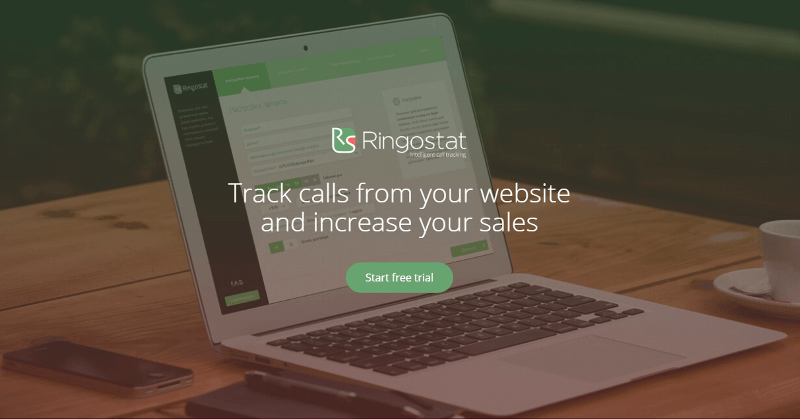 Ringostat has integration with Google Analytics, so all data from the call log can be easily transferred to GA and complement the picture of company’s marketing performance. Another report you can get from Ringostat is the Call Categories report. This is another Ringostat tool for increasing the quality of phone call analytics, by introducing the notions of call category and call value. Assigning call category means classifying the calls depending on certain tasks or features they possess. For example, “sale”, “address inquiry”, “call from an existing client”, “non target call”, etc. Call value is used for analysis of conversions, that have been brought by the call. The value can be real (the value of the deal) or virtual. For example, if you know that out of 10 callers who wanted to check if they got your address right 1 will make an order at the shop with an average bill of 1000 — the value of the call category ‘address inquiry’ will be 100. If the call category settings are on, the call agent will be able to access voice menu after the end of the call, where it is possible to choose the call category, value and personal code, using the telephone keyboard. 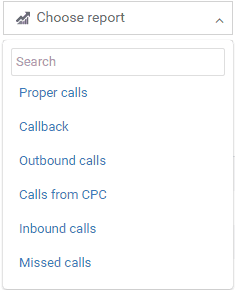 You can analyse the average and total call value as well as the calls without an assigned category in the tab ‘Call Statistics’. In the ‘Call log’ tab you can also see the indicators for each call and create reports based on the data relevant to you. Call Statistics show the data in the form of interactive, customizable charts. This tool has been designed for generalizing and easily discerning the information on calls. The call statistics is another useful instrument for determining the efficiency of the advertising campaign. The chart of visits and calls shows the number of user sessions on the website by date, comparing it to the number of received calls. The ‘Call Statistics’ table enables you to compare the number of calls that came from each source, and the share of target calls among them. Also, it’s very handy for understanding the real performance of your campaign. This special report from Ringostat can get you some valuable information. Basically, it shows the number of calls the company’s call center receives every day and every hour. With the help of this report, you can properly organize the work of your call agents and improve the general performance of call centre. You can identify the busiest hours for the call center and make sure the call agents are ready for the influx of calls. Moreover, the report can show specific hours when the number of missed calls is largest. For example, if your call agents tend to leave earlier for home and your clients are reaching empty office all the time — with the help of Ringostat – intelligent call tracking you will be able to discover and tackle this problem. For new users, it takes 2-3 weeks to gather meaningful statistic. However, after that you will be able to get some interesting insights. Eventually, you can optimize your office schedule, knowing the busiest days and hours, and raise the level of discipline and accountability of your employees. Multi-Channel Reports show the sequences of interactions that led up to each phone call. With this type of reports, Ringostat users see how previous referrals and searches contributed to their sales, which traffic sources were the first in consideration process and which sources the users referred when they called. Moreover, these reports show the number of visits from each advertising channel. Why do businesses need multi-channel funnel reports? Clients usually need some time before making a call and placing an order. Their customer journey can be rather long and include various channels: ads, website, social network pages, etc. Usually, analytics show the last touchpoint before the purchase, though it could be not the one that really worked. Multi-channel funnel reports allow identifying the value of each traffic channel for the total number of conversions and determine the most efficient sources of all. The multi-channel reports offered by Google Analytics allow customization of the sequences according to a particular conversion type. In other words, when calculating call conversions, you will see relevant statistics. However, phone calls that don’t lead to conversion or a target event on the website are not useful and interesting for marketers. So, how can you single out target phone calls? Ringostat has released a filter that enables the analysis of multi-channel funnels of different data segments. You choose a group of calls for analysis using special filters and display the multi-channel funnels for these calls only. Here you can see how many calls go through two channels at the same time, and how many fall on each of them separately. In this case, only one call was made after using both Google AdWords and referral channels. You can also filter out the calls from paid ads only. Multi-channel funnels report will show the sequences of interactions that led to the calls. The report you see below shows the statistics on calls generated by PPC. As you can see, sequences of visits are generally no longer than two stages for this call category. Also, there are many calls from paid ads and organic search. The previous report is great for understanding which channels worked together with PPC advertising. This report shows the channels that generate phone calls. Here, the most popular pair is Google AdWords and then organic visit from Google. 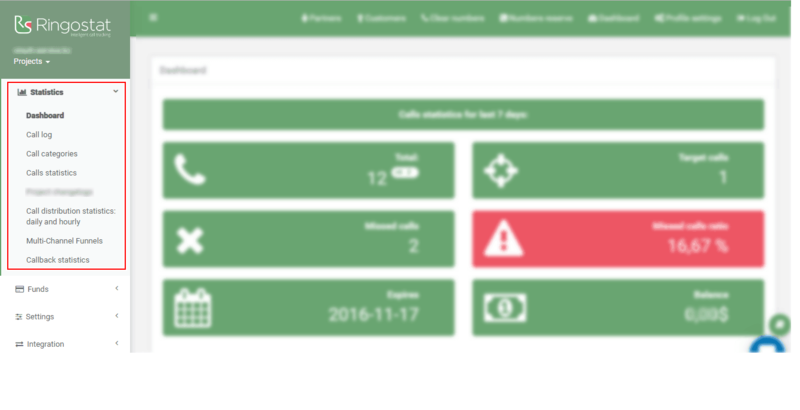 Callback analytics lets you understand the efficiency of your callback widget, and see how many unique and target calls it can get. In simple words, Ringostat is a solid call tracking service, but what really makes it a powerful tool is the analytics. The number of reports and filters available lets you do some insightful research and get data on every phone call. You can track the performance of your PPC campaign by researching keywords and sources of the call; compare advertising channels and pick the most effective ones; check if you have done the SEO optimization right, by tracking call conversions from organic. Even observe the productivity of your employees. The opportunities you get with this kind of analytics are truly impressive.